Update: I defended my thesis on "Effective HPC in Cloud" in May 2014 and joined Intel Corp afterwards as a Cloud Security Architect. In my current job at Intel, I research and develop solution for cloud security, with the philosophy of treating security as an "enabler" not an "obstacle" for the success of cloud computing. I received my Ph.D. from the Department of Computer Science at the University of Illinois at Urbana-Champaign. My advisor was Prof. Laxmikant V. Kale. My research interests include anything that has something to do with parallel programming, high performance computing, cloud computing. My PhD thesis was focused on effective High Performance Computing (HPC) in the Cloud . 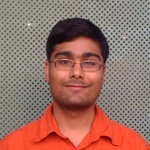 I received a Bachelor of Technology degree in Computer Science and Engineering from Indian Institute of Technology(IIT) Roorkee in 2008. I was awarded President's Gold Medal for securing 1st position among all graduating B-Tech students from IIT Roorkee. I have worked as a Software Design Engineer(development) at Microsoft India Delelopment Centre. I received Master of Science (MS) from Department of Computer Science at the University of Illinois at Urbana-Champaign. I have done couple of internships as a research associate at HP Labs, Palo Alto under the guidance of Dr. Dejan Milojicic. Here is a link to my CV and my linkedin page .